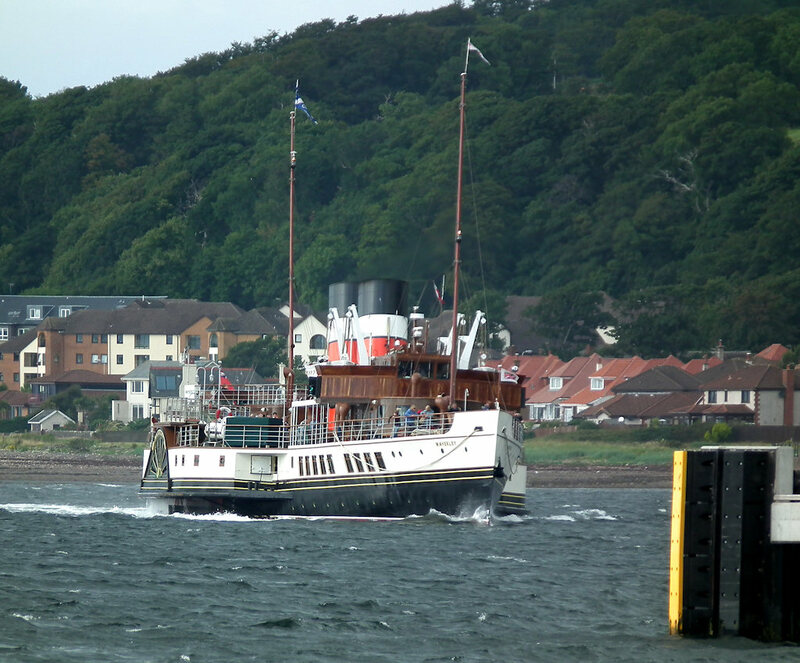 Coaster Flinterhunze inbound 01 August 2010. 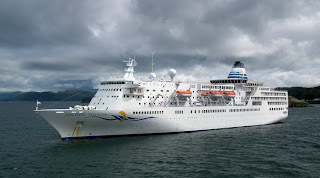 Cruise liner Delphin Voyager outside Oban Bay 01 August 2010. 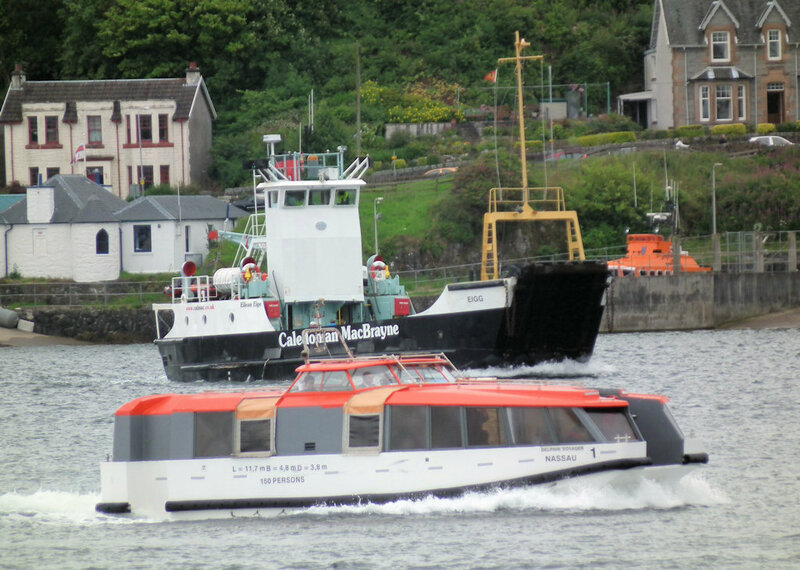 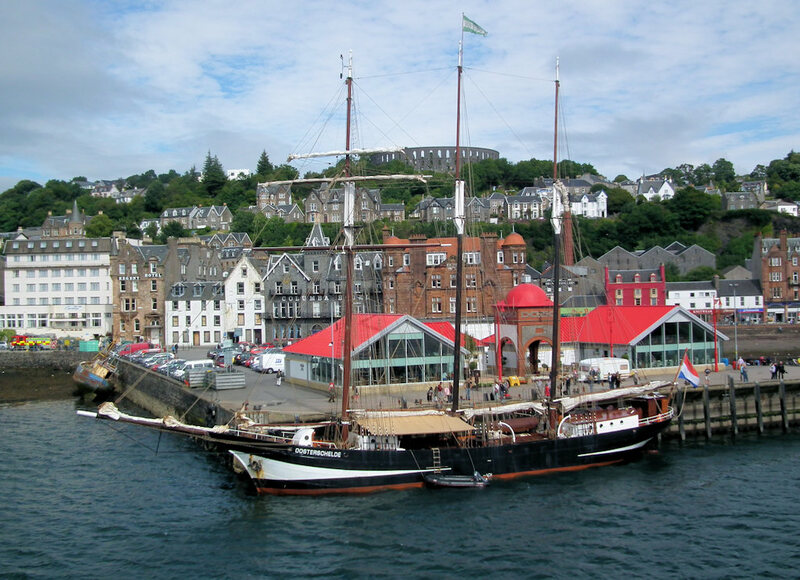 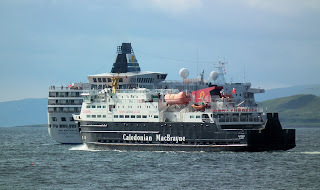 Caledonian Macbrayne's Eigg together with Launch No 1 from Delphin Voyager in Oban Bay 01 August 2010. 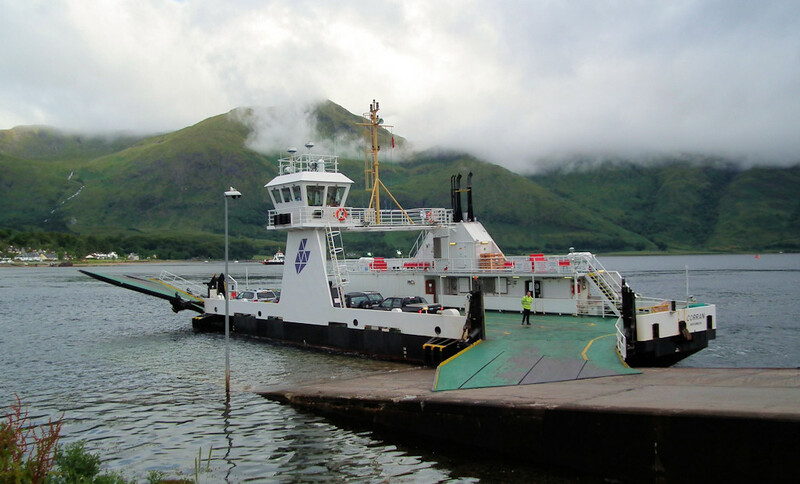 Highland Council's Nether Lochaber ferry Corran at Corran 01 August 2010. Waverley approaches Largs Pier from the north 04 August 2010. 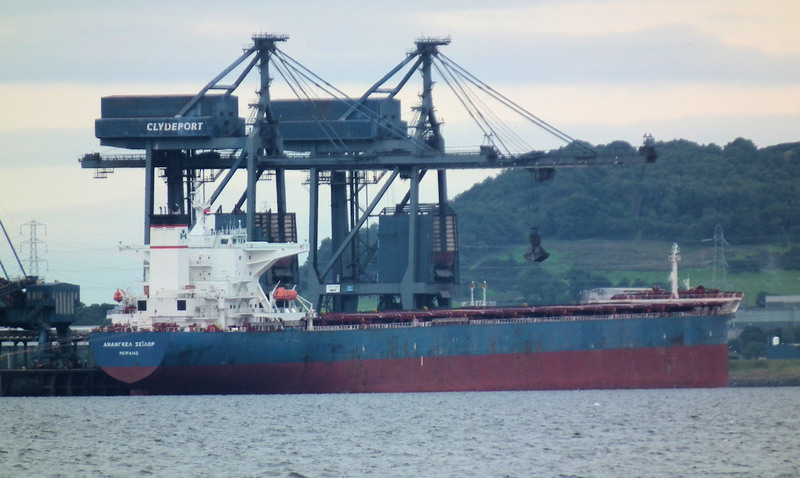 Whitaker Tankers' Whitstar delivers bunkers to Anangel Sailor 03 August 2010. 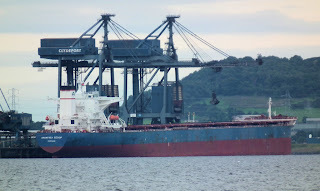 Bulk carrier Anangel Sailor unloading at Hunterston 02 August 2010. 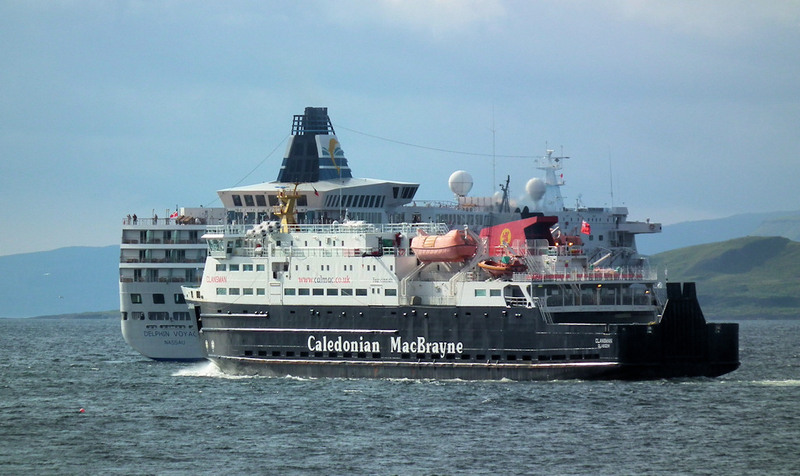 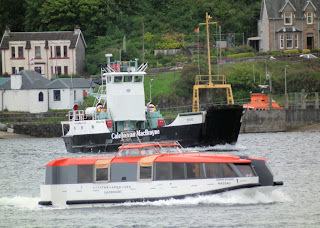 Caledonian Macbrayne's Clansman passes Delphin Voyager outbound from Oban on sea trials 01 August 2010. 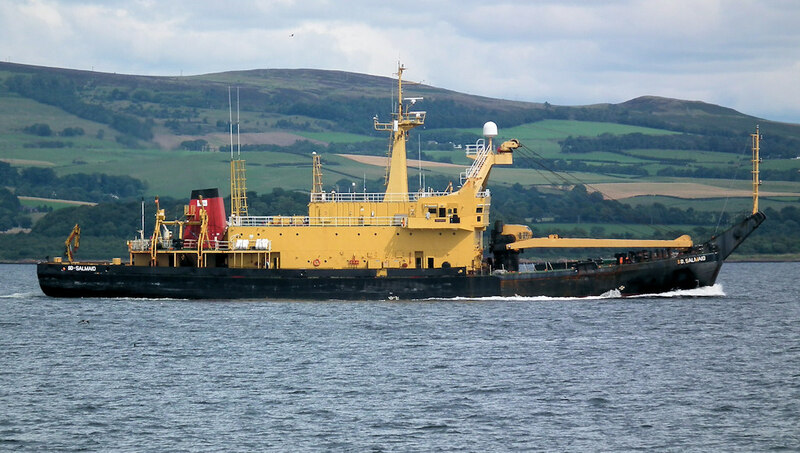 She had suffered from another (unrelated) engine breakdown after being OTR for six weeks at Garvel. 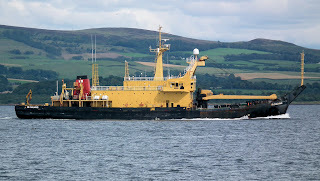 SD Salmaid returns to Great Harbour after acting as the "dead weight" for new tug training at Faslane 01 August 2010. 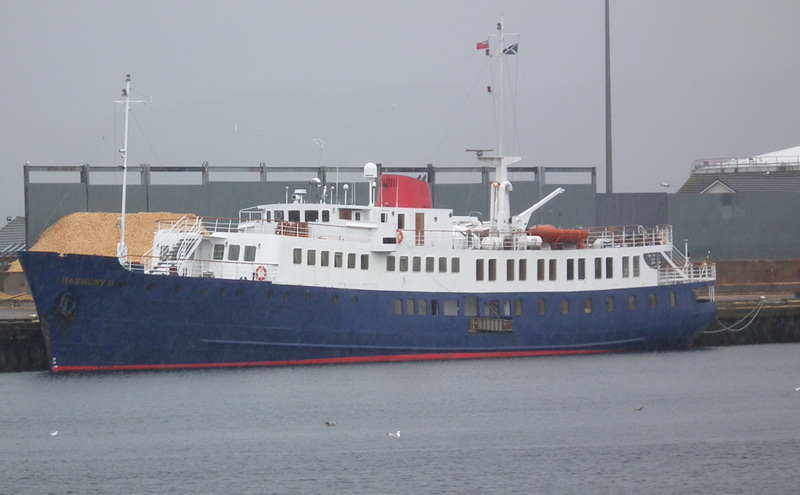 Harmony Yacht Club's "Mega Yacht" Harmony II lying in Inverness Harbour 31 July 2010. 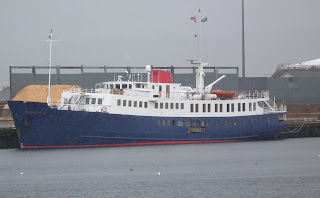 Rain, rain, rain!